Two Chicks On Books: Blog Tour- THE WINNER'S CRIME by Marie Rutkoski and A Giveaway! Blog Tour- THE WINNER'S CRIME by Marie Rutkoski and A Giveaway! Hey y'all! I'm thrilled to be participating in the blog tour for THE WINNER'S CRIME by Marie Rutkoski! We each get to do our own posts for this one. Oh and stick around for the giveaway! Haven't heard of IGNITE Check it out! So the question being asked is... The ‘Winner’s Curse’ is an economics term that means you’ve gotten what you wanted – but at too high a price. What would you pay too much for? I've thought long and hard about this one and the answer I came to is nothing. I'm a pretty frugal spender and if I can't afford it I just won't buy it. Maybe when I was younger I might have but as an adult I've learned you can't always get what you want. And lol yes I did just quote a Rolling Stones song! 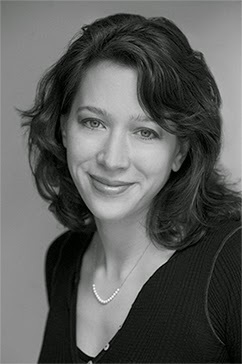 Marie Rutkoski is the author of The Winner's Curse, The Shadow Society, and The Kronos Chronicles, including The Cabinet of Wonders and The Celestial Globe. The Cabinet of Wonders, her debut novel, was named an Indie Next Kids’ List Great Read and a Bank Street Best Children’s Book of the Year, among other honors. Rutkoski grew up in Bolingbrook, Illinois (a suburb of Chicago), as the oldest of four children. She attended the University of Iowa, where she took Writers’ Workshop classes and studied with Pulitzer Prize-winner James Alant McPherson. After graduating, she lived in Moscow and Prague. Upon receiving her Ph.D. from Harvard University, she held dual appointments as a lecturer there in both English and American Literature and Language, and History and Literature. Rutkoski is currently a professor at Brooklyn College, where she teaches Renaissance Drama, children’s literature and creative writing. She lives in New York City with her husband and cat. Check out the Tour Schedule at MacTeenBooks! Play a game of Bite and Sting! Thanks for the giveaway! I would pay anything to help or save my family. 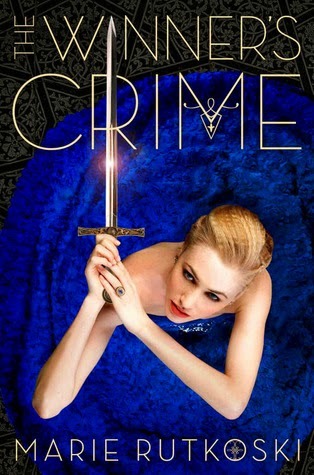 I can't even explain how excited I am for The Winner's Crime. Yikes. This is a rough question. I think I would pay too much for a job in my field. I went to college and I have the fancy degree but not the fancy job that goes with it. There are not too many openings around her for my profession and I can't stand the thought of leaving my family, so . . . that's where I'm at. Oh, or a job in publishing. But here. I'll visit NY for work, but again, I don't like the idea of moving-moving. I entered an entry wrong :( It should be "bookishandrea.tumblr.com" not "bookandrea.tumblr.com"
I think one of the things I'd pay too much for would be my freedom. I'm excited to read The Winner's Crime! I would love Winner's Crime! I'd pay too much to feed the homeless and hungry! Or for my family's safety and well-being. I think we all pay way to much for our health, insurance, food, gas, bills. I think they over charge for everything now. It's getting hard to be able to save any kind of money. I still love to buy books whenever I can though. I'd have to say that's my weakness. I also love these books and can't wait until I can own my very own copies. Thank you! ooh either books (which I have done before T_T) or a present to somebody I love! Occasionally, I'd say, I pay too much for love (for family, friends, etc.) Also to feel like someone's listening. Thanks for the giveaway! Definitely books, like if I could have stacks of books all over my house and maybe a pair if really cozy slippers that would be nirvana. Travel! I would love to spend money on as many experiences as I could fit in. And then while I was there, I would spend too much money on books and other random stuff. As it stands now, I just spend too much money on books ;) Thanks for the giveaway! Books, I guess. I look at all the books I own and think of the total amount of money I spent… it's worth it though! hmm...I'm pretty frugal too but I have spent more I books especially if its an author I love. I would pay too much to go on a trip to see authors (like Yall west haha) Thanks for the giveaway! I'd pay anything to keep my family healthy. But if it could be something fun than it would have to be heels. Any color, just as long as they have a hue heel and are super cute then I'm a happy person! If it would be possible to trade something or pay for it, I would give anything and everything to have my Daddy back. At least back long enough to have gotten to meet his granddaughter (my niece) and have her know him. She's missing out on knowing one of the most amazing men who ever lived. Money-wise for something trivial for my Disney love, I would want unlimited money and planes to travel to and from any Disney parks, at any time. I don't want much, do I? Hahahah!! !